Sun City Macdonald Ranch - paint* Ceiling fans* Large enclosed "Nevada Room" for your outdoor pleasure* Nice landscaped back yard area* Lots of garage storage shelves* All Appliances are included* Can close quickly,if needed and preferred! 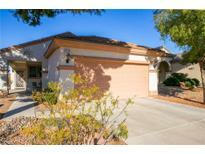 MLS#2070822. Ceci Realty. Sun City Macdonald Ranch - 2,307 sq ft.** Courtyard Entrance * 3 bd/ 3 Full Bath, Plus Large Den/ Double Doors * Golf Course Location ** Giant Cactus Lot, Wide Open ** Formal Living/ Dining Room, Coffered Ceiling ** 5 Ceiling Fans * Large Windows ** SEPARATE Casita Has Mirrored Closet Doors, Ceiling Fan & Full Bath * Kitchen Center Island * Family Room off Kitchen with built Ins * Garage Much Storage ** MLS#2070531. Simply Vegas. Easy access to the 215 and minutes away from shopping! Ceiling fans throughout! MLS#2068159. BHHS Nevada Properties. Sunridge Summit Heights - Home is move in ready and appliances are included! MLS#2067671. Innovative Real Estate Strateg. Foothills At Macdonald Ranch - Gorgeous priv bkyd, casita, 2-level pool/spa, lazy river, ample green space.See 3D-MATTERPORTtour MLS#2066970. 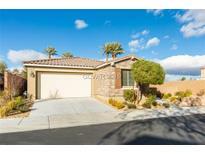 Realty ONE Group, Inc.
Sun City Macdonald Ranch - Stainless steel appliances. Location Location Location. https://youtu.be/5Z5SggMHNrc MLS#2066350. Cornel Realty LLC. 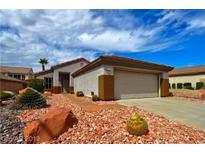 Sunridge Summit Heights - This home has been well maintained with true pride of ownership. MLS#2065951. Coldwell Banker Premier. Macdonald Highlands - Country Club Lifestyle: Golf, Fitness, Tennis & Swim, Bar, Dining & Clubhouse. MLS#2064981. Synergy Sothebys Int'l Realty. 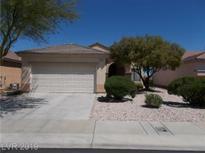 Sun City Macdonald Ranch - Nice kitchen layout,upgraded granite counters,large breakfast nook,double dr. pantry, breakfast bar*Big master bedrm, large walk-in closet w/built-organizers* Double covered patio* Ceiling fans* Energy Efficient-Security Rolladen Shutters* Garage stor. cabs*Big fully fenced backyd*Appliances Inc. MLS#2065091. Ceci Realty. Sun City Macdonald Ranch - Popular open floor plan with 2 bedrooms plus a den/office, 2 bathrooms & 2 car garage with built-in storage cabs & work bench and is air conditioned* Nice kitchen layout -big breakfast nook, breakfast bar, ceramic tile floors* Master bedroom with bayed window area* Ceiling fans with lights* Large double covered patio with* Nicely landscaped back yard that fully fenced* All appliances are included! MLS#2064412. Ceci Realty. Palisades - This spectacular MacDonald Highlands home has possibly the best views in town.Its jaw dropping unobstructed views of the Las Vegas Strip,city and mountains and Dragon Ridge golf course, visible from almost every window.Indoor/outdoor living with 5000 sf of balconies and patios, 4-level cascading pool, spa and putting green.Features include:2 master suites,chef’s kitchen, movie theater, wine cellar, elevator, game room, and home automation system. MLS#2063134. Simply Vegas. Foothills Ranch - * 2 Master Bedrooms, One With A 2 Way Fireplace * + A 3rd Bedroom * Extended Ceilings T/O * Shower In 3/4 Hall Bath * Cozy Living Room With Formal Dining Foom On Your Way To The Family/Kitchen Area With Cozy Fireplace * Large Sized Island With Breakfast Bar And Plenty Of Cabinets * Eat In Kitchin Area Too * Window Coverings T/0 * Sliding Door From Main Master Bedroom To Great Backyard! ! 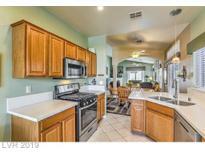 MLS#2063392. Brokers Realty. Sunridge At Macdonald Ranch - Pictures do not do justice on this home, this is a stop what you’re doing and walk into the house type of home! !WELCOME HOME! ! MLS#2062910. BHHS Nevada Properties. Sun City Macdonald Ranch - Too many Upgrades to list and the pictures don't do it justice, come and see for yourself! 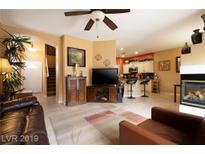 :) MLS#2061468. iProperties International. Sun City Macdonald Ranch - This popular community of Sun City MacDonald Ranch offers many activities/18-hole golf course, tennis, swimming, fitness center/Enjoy dining in the restaurant overlooking the golf course. MLS#2060170. Resolution Realty. 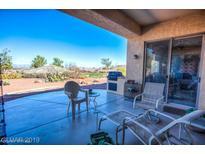 Macdonald Highlands - Stunning Outdoor Space W/ Covered Patio & Basket Weave Tile. Near Schools & Shopping. MLS#2058313. BHHS Nevada Properties. Macdonald Highlands - Solar Heated Pool. Separate office/ den. MLS#2059219. Simply Vegas. Sandy Ridge - 1 Story Home Behind, 3 Car Garage, Refrigerator, Washer Dryer Included MLS#2057978. BHHS Nevada Properties. Foothills At Macdonald Ranch - Entertain in style with rec room, gym, wine cellar, sauna, theater, and outdoor bbq. MLS#2057594. Synergy Sothebys Int'l Realty. Foothills At Macdonald Ranch - Penthouse like master with balcony that overlooks golf course and strip plus your own master bath mini spa. LEASE BUYOUT-30 DAY MOVE-IN MLS#2055764. Turn Key Property Solutions. Foothills Ranch - Larger secondary BDRs upstairs. Private backyard w/no neighbor behind MLS#2054186. GK Properties. Sun City Macdonald Ranch - "Georgetown Model" on nice lot - Mountain views from front porch* Big kitchen layout with maple cabinets, custom counter tops* Upgraded range & dishwasher, ceramic tile floors, big breakfast nook area - overlooks covered back patio that faces North* 2 bedrms plus laundry room with built-in cabinets* Plantation shutters*Upgraded lighting fixtures & ceiling fans*Garage storage cabs & shelves*All appliances included. MLS#2053970. Ceci Realty.